THE DRILL HAD A MISTAKE. IF YOU HAVE PRINTED BEFORE 6pm on SUNDAY. GO BACK AND PRINT THE NEW DRILL!! We have changed the show name to Thermopylae to make the connection to true historical value. If you have time, delve into the history about the battle. Also, the drill sets 1-5 are posted. Print these and bring them to camp tomorrow. Have a great day and we will see you tomorrow! The show music has been updated. There are some minor changes that have added to some movements and shortened others, but the main ideas are still the same. Pleas print out the new music and recycle you old music. Also posted, is the warm-ups you will need for music rehearsal. Please print these for your particular instrument. The drumline, pit and leadership crew have been making great progress on the show and now it is your turn to join us! Tomorrow is the start of basics band camp. ALL MARCHING MEMBERS will meet tomorrow in the PAC at 8am. There, we will begin our journey for this season. If you are still unsure if you would like to participate, please come and see if you like it. We have a great staff, show and leaders that will make this year a fun and exciting one! Please see the list of items you will want to bring in the previous post. See all of you tomorrow morning! 2. Athletic shoes: no flip flops or skate board shoes. They need to be laced and fitting. The calendar is online and is linked to my current calendar so all changes made will be instantly available to you. All other forms will be handed out to students August 18th and return the 23rd. – This fee covers shoes, shirt, gloves, travel and food for the season. The fee is due at the beginning of the full band camp (August 23rd). If this fee is a hardship, please contact Mr. Petrik to make arrangements for payment and fund raising options. FEES SHOULD NOT DETER ANYONE FROM PARTICIPATING. WE WILL MAKE IT WORK. Fitting will be held August 30th and Sept 1st from noon- 3pm. Please plan to be there the entire time as sectionals will be held during this time as well. WOODWINDS will be fitted the 1st. Our student leaders have been trained to make band a great experience and to be ambassadors for their sections. To maximize our effectiveness, please contact your section leaders before you contact staff if you have any questions. Hey Band!! Below you will find a link to the student information form for next year’s band. The information you provide will help our staff, section leaders and parents to accurately plan for next fall and keep you informed. All information will only be used for band purposes and will not be shared with any other parties. This will take approximately 5 min to fill out. Thank you for your time. 3. submit the form before Friday June 18th. The Sherwood Band along with the Colorguard and Cheer Team, made the Starlight Parade one of the best ever! 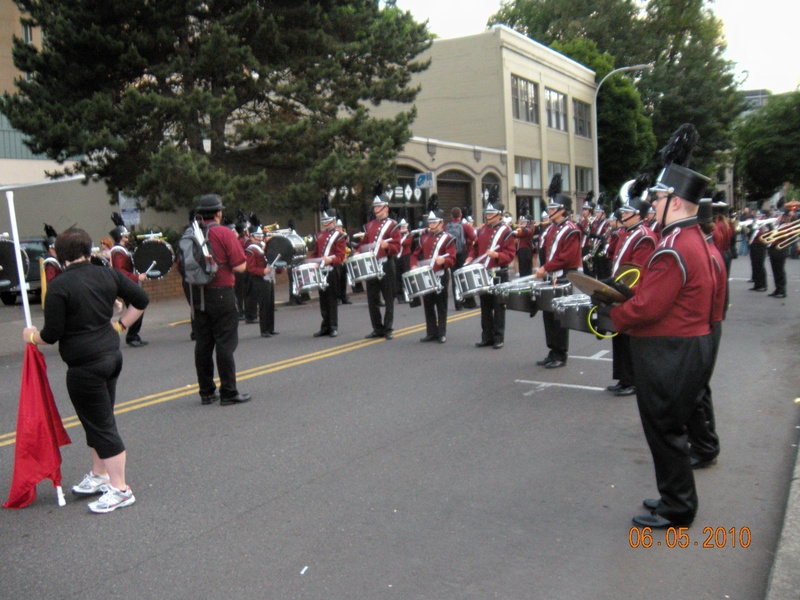 It was a beautiful night for marching and the crowd was entertained with YMCA and the syncopated rhythms being laid down by the drumline. A big thank you goes out to our parent volunteers who kept the band hydrated and to all the parents, friends, and students who cheered us along the parade route.